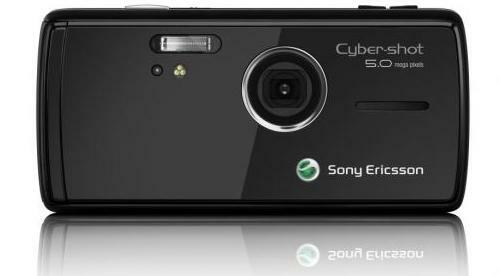 Sony Ericsson has announced its latest new 5 megapixel Cyber-shot phone, Sony Ericsson K850 camera phone, which features auto focus and Xenon flash. SE K850 packs state-of-the-art digital camera features into a stylish and slim-design mobile phone. In addition, its lens cover can be automatically retracts when the Cybershot camera is activated with one press dedicated shutter button. Besides, the new mode selector also lets you switch quickly between camera, video and picture viewing modes. Sony Ericsson also added some high-tech camera features to K850 including Sony Ericsson’s BestPic multi-shot capability that takes nine pictures in one burst and the new Photo Fix system for adjusting photo brightness levels with a single click. Sony Ericsson K850i supports Microsoft Exchange ActiveSync, wireless synchronization and Direct Push of email, calendar and contacts. In addition, this latest Sony Ericsson Cybershot phone which equipped with a 2.2″ 262k color TFT display (QVGA 240×320 pixels), measures at 4 x 1.9 x 0.7 inches (102 x 48 x 17 mm ) and weights at only 118g. The Sony Ericsson K850 3G HSDPA and quad-band GPRS/EDGE handset will be available in luminous green and velvet blue colour in coming Q4 but no words on its price yet. Anyway, the new Sony Ericsson K850 is expected to be a next hot cellphone!